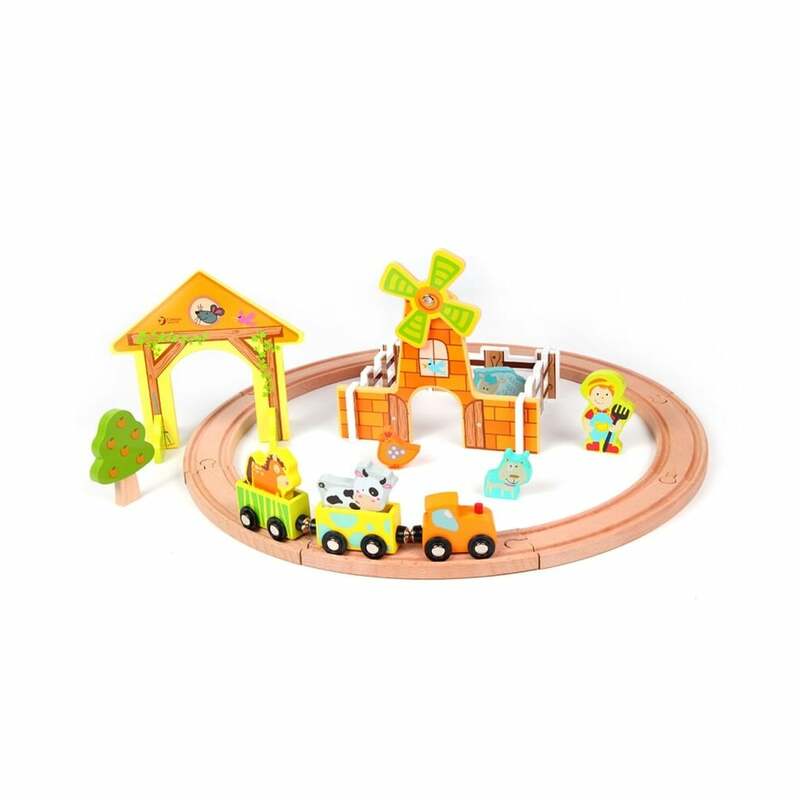 The Classic World Farm Train Set encourages creativity and is great fun for your little train lover. Classic World Farm Train Set is a brightly coloured and fun educational toy. It helps develop imagination and coordination. Your baby will enjoy playing with the included farmer, cow, cat and chicken characters. The colourful engine can be loaded, unloaded and steered around the track. 25 accessories are included including trees, buildable barns, bridges and a windmill!